After a lengthy stop for refreshments and an unforeseen hold-up in France, The Showdown Poker Tour will roll into Tallinn, Estonia at the end of August for the third leg (previously scheduled 4th or even 5th leg) of the inaugural season. The tournament will have the usual €5,000 (+€300) buy-in and a capacity of 200 seats. Given that the first two events have attracted barely 20 players apiece, there is likely to be plenty of room! 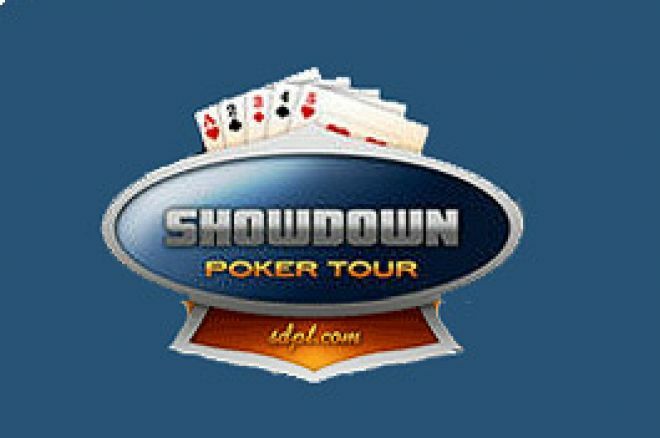 The great problem facing the Showdown Tour is the Catch 22 scenario in which few players willing to pay such a chunky sum to enter will do so when there have previously been just the three or four paying places at the final table and a top prize of modest proportions. But, without the players, the competitions will not catch on when they have to compete against the more established, well-respected - and cheaper – European Poker Tour events as well as a plethora of attractive tournaments in America and many other countries besides. The Hendon Mobsters - Barny and Ross Boatman, Ram Vaswani and Joe Beevers - are contracted to play in these Showdown events, and Matt Savage is chalked in for Tournament Director duties, albeit he was unable to make Dublin due to competing demands from American TV. The other two tour venues originally scheduled were Trouville, as previously mentioned, and Vilnius, Lithuania (Reval Hotel Lietuva), a “date” that appears to have been “pending” from the outset. All we can do here is “watch this space” and hope that the numbers for the events pick up from here on in so that the Showdown Poker Tour can at least be given a chance to shine and be a worthy addition to the European roster. Ed note: Large numbers of players are guaranteed in tournaments when you download VC Poker and claim a $500 bonus!